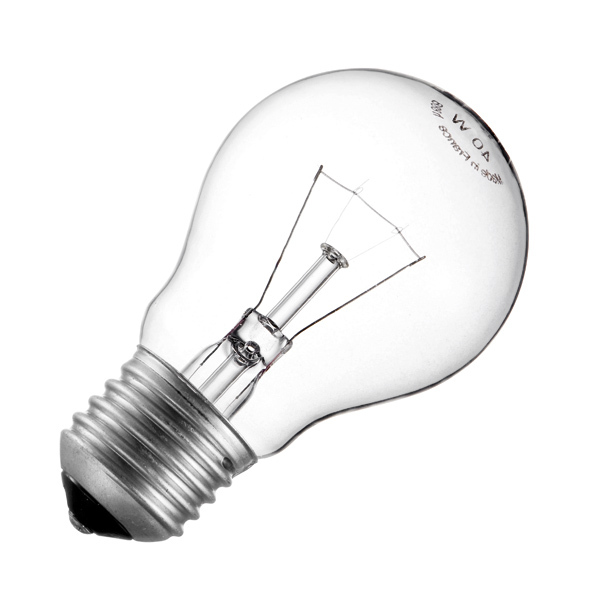 The original (and still iconic) electric light bulb, was first invented in 1761, and gradually developed over 2 centuries. Incandescent bulbs create light by heating a wire filament so hot that it glows – 2426 ºC! Over 95% of the electricity consumed is emitted as waste heat (infrared energy), making this type of light bulb remarkably inefficient. Incandescent bulbs were phased out of sale in Canada in 2015. PAR stands for Parabolic Aluminized Reflector. The mirrored inside of these bulbs creates a directed spotlight. PAR Lamps may use a variety of lighting technologies, often halogens or compact fluorescents. Halogens are a type of incandescent bulbs which contain their glowing filament in a gas, allowing them to run hotter, brighter, longer, and marginally more efficiently. Halogens lose about 80% of their power to heat. Tube fluorescents, most commonly the 1-inch diameter T8, are filled with a mercury-vapour gas at very low pressures. When electricity flows through the gas, it glows with ultraviolet light. The UV light is converted to visible light by a phosphor coating the inside of the bulb – the fluorescence of this phosphor gives the technology its name. Fluorescent bulbs are very sensitive to electrical changes, and so require the use of a ballast to regulate current. For tube fluorescents, this ballast is often attached to the fixture. Fluorescent bulbs were a great leap forward from incandescent bulbs in terms of light efficiency and lifespan, but brought new challenges: many people dislike the quality of light they produce, the buzzy noise they create, and the added complexity and cost of ballasts. Compact fluorescent lamps (or CFLs) are fundamentally the same technology as tube fluorescents. The only difference being that the otherwise straight tube is bent or twisted into a U-form, and mounted by one end only. CFLs may use a 2-pin, 4-pin, or screw base. Their ballasts may be attached to the fixture, or internal to the bulb itself (i.e. self-ballasted). 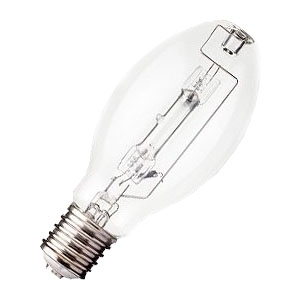 Metal-halide bulbs, also called HID (high-intensity discharge), are extremely bright lamps, often used for overhead utility lighting, sports arenas, and car headlamps. These bulbs must use a ballast to regulate the electrical supply. HID bulbs can rival LEDs for lifespan, but consume as much as 4x the energy. HID bulbs run at extremely high temperatures and pressures and are slow to warm up. LED stands for Light Emitting Diode. The diode is a semi-conductor material that creates light as electricity flows in one direction only. White light LEDs use a combination of a ultraviolet-producing diode with a phosphor coating to convert the UV to visible light. LEDs are currently the ultimate in terms of efficiency, lifespan, and durability. Generally, they are twice as efficient as fluorescent lamps, and last 3x as long. Running silent and cool, starting instantly, and providing a much improved quality of light, LEDs outperform fluorescent bulbs on every metric. 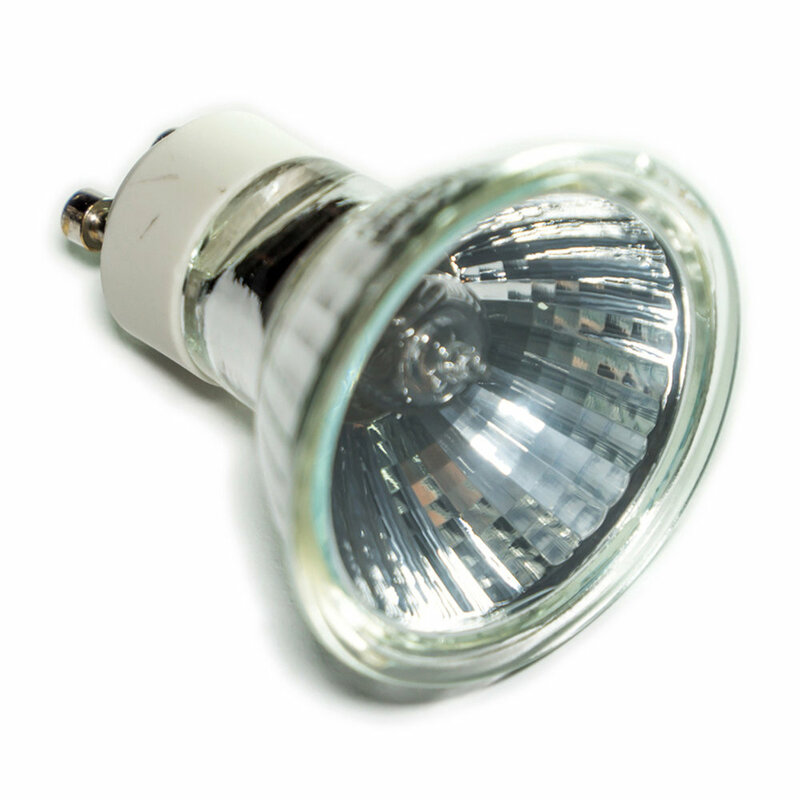 LEDs are available in practically any colour temperature (warm yellow-ish light vs cool blue-ish light), for any style of lamp base, and are compatible with existing fluorescent ballasts. For Greenlight's projects the bulbs are manufactured to the specified requirements of each project, so we are always able to meet your needs.